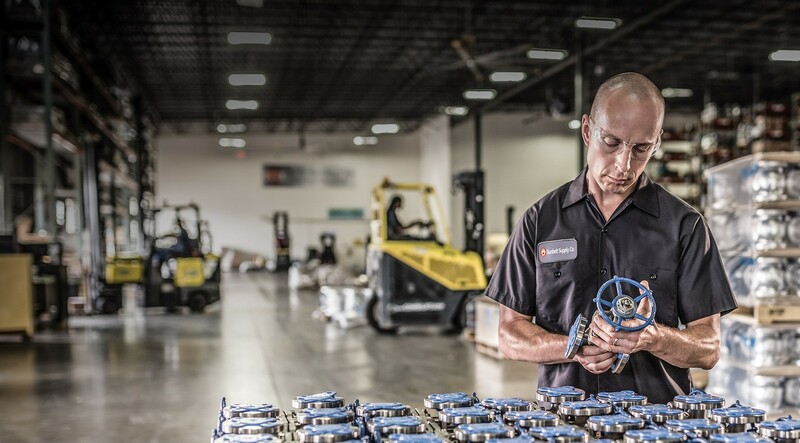 What makes Sunbelt Supply Co.’s culture different from that of our competitors? It’s quite simple. We are a family of knowledgeable and hard-working PVF experts who have come together to provide our customers with the highest quality and grade products available. We are focused and determined to provide our customers with elite service and unmatched product turnaround. In order to provide consistent sourcing and distribution to our customers, we need to have a strong internal core. That’s why Sunbelt Supply is devoted to providing our employees with a safe working environment. Manufacturer audits are facilitated frequently to ensure maximum protection for all of our hard-working and experienced staff. Sunbelt Supply is a dynamic, exciting place to work. Our employees take great pride in knowing that our success is based on relationships with customers and suppliers. We have well established, long standing relationships with 70% of sales from customers with 10+ year tenures. We are successful at engaging our customers to better understand their needs and wants. Doing so has allowed us the ability to expertly anticipate and supply their needs and achieve competitive advantage. Our sales strategy is to continue to grow and expand our business to meet customers’ needs domestically and internationally and complete for new projects and contracts.